The Fifth Annual Taste of Northfield – Next Week! 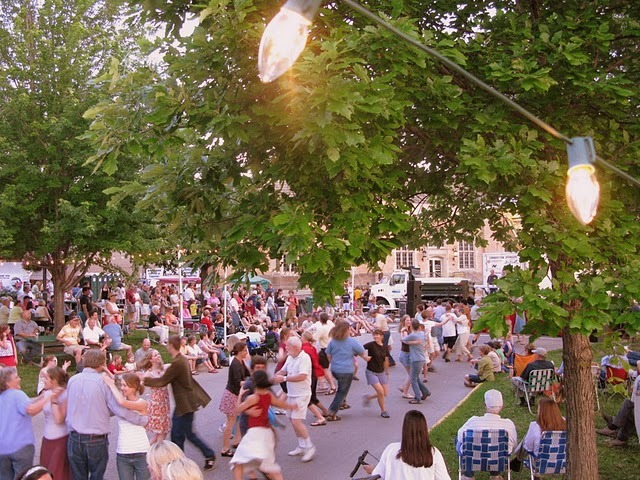 The Northfield Downtown Development Corporation (NDDC) is proud to present its Fifth Annual Taste of Northfield, Thursday and Friday, June 17 and 18, from 4 p.m. to 10 p.m., in and around historic Bridge Square, located in the heart of beautiful downtown Northfield. This year’s Taste of Northfield will be jam-packed with delicious food, fantastic entertainment, and fun for the whole family—promising to be the biggest and best ever. Along with tasty treats being served up from close to two dozen local food vendors and a beer and wine tasting tent located on the Fourth Street Bridge overlooking the Cannon River, the 2010 Taste of Northfield will include a street dance with entertainment provided by the very popular Over & Back Band. The event will also feature musical performances by the Northfield Community Band, Carey Langer, Potluck & The Hot Dishes, The Bratlanders, and The RCAs—as well as dance performances by the Northfield Arts Guild Mexican Folkloric and The Lost Boyz Crew, a hip-hop breakdancing group. On Thursday evening, there will be a special bank raid re-enactment by the infamous James-Younger Gang, as well as a silent and live auction, with proceeds supporting the NDDC. The auctions will feature a wide-range of products and services donated by area retailers, businesses and community members. Raffle tickets are also being sold in advance, and at the event, for a $1,000 cash prize. The prize will be awarded Friday evening and the winner need not be present to win. The Fifth Annual Taste of Northfield is sponsored by the NDDC, along with generous support from the Archer House River Inn, Carleton College, Chapati Indian Restaurants, College City Beverage, Community Resource Bank, Contented Cow Pub, First National Bank, Franek Electric, J. Grundy’s Rueb-N-Stein, KYMN Radio, Malt-O-Meal, Northfield News, Rebound Enterprises, Rick Pavek Construction, Premier Bank, Taylor Truckline, Upper Lakes Foods and Waste Management.